Move in ready! New Granite countertops, New kitchen sink, New range hood, New paint, New Laminate flooring, New Carpet from steps up, New Pella Storm door. LED lighting, Kitchen Island, Fresh and clean and ready to become your new home. 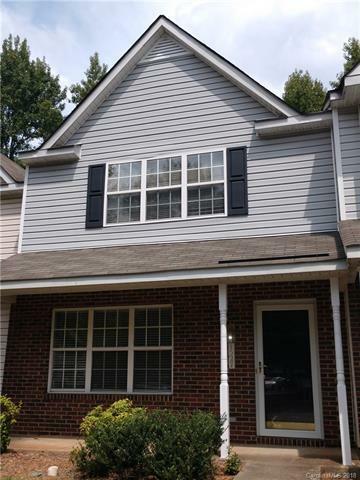 Great location just minutes from I485, UNCC or uptown. Spacious main level with large bedrooms up. Both BR have bright walk in closets. Double vanities in the master bath. Note tax records show 1304 sqft. Physically measuring I get 1236. This does not include the outside storage room and 18 sqft under the stairs.